This stackable chair from Boss Office Products features contemporary styling and a waterfall seat edge to help reduce stress on the legs, black painted tubular steel frame, molded arm caps and is fully stackable for space saving storage. Choose from 4 fabric colors or black vinyl. Dimensions: Overall height: 31"H. Seat height: 18"H. Back Size: 18.5"W x 13"H. Seat Size: 19"W x 18"D. Warranted by Boss Office Products. 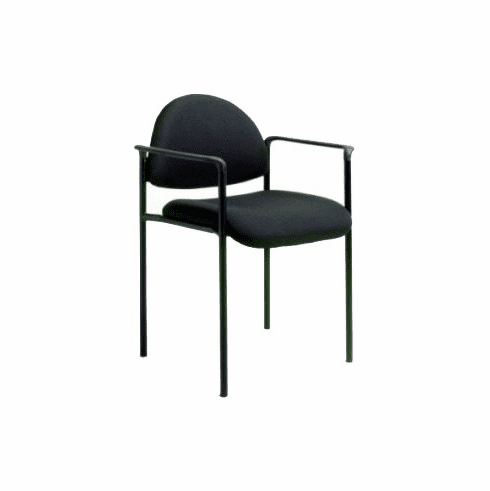 This stacking chair normally ships within 2-3 business days from our GA or CA warehouse.